Golf is still looking for its next Tiger Woods. And so are golf equipment makers. The latest golf company to disappoint investors? Titleist and FootJoy owner Acushnet. Acushnet (GOLF)shares debuted on the New York Stock Exchange Friday. The stock was only up 4% to around $17.70 a share in early afternoon trading. That's a lackluster debut for a new offering. But it's even worse when you know the full story of the company. The company had originally expected to price its shares in a range of $21 to $24 a share. But demand was slack, forcing the company to price at $17. So the small gains for the stock are nothing to write home about. It's like finally hitting a shot onto the green -- after you've already plunked your ball in a water hazard a few times. It's been a long road to an IPO for Acushnet. The company was originally part of the old Fortune Brands conglomerate. Fortune Brands sold Acushnet in 2011 to South Korea's Fila and some private equity investors. Fila decided earlier this year that it wanted to spin off a portion of its Acushnet stake. The timing didn't appear to be ideal though. Acushnet owns some of the most recognizable brands in golf. And it has arguably the best ticker symbol ever considering what the company does. GOLF. But golf now seems to be a four-letter dirty word. The sport is hurting. Even though there are several young stars in the game -- Jason Day, Henrik Stenson, Dustin Johnson, Jordan Spieth and Rory McIlroy jump to mind -- none of them are as dominant as Woods. And that's exactly what the sport needs. Another superstar. TV ratings are down. It didn't help that only a few of the top-ranked male golfers decided to go to Rio to play in the Olympics -- the first time golf was in the Summer Games since 1904. The lack of a Woods or other dominant player like Jack Nicklaus or Arnold Palmer (RIP Arnie!) is clearly a problem for most golf equipment companies. Even though the women's game is thriving, it looks like that isn't enough to move the needle for the sporting goods giants. Nike (NKE), which has Tiger Woods as an endorser, announced this summer that it was getting out of the golf equipment business. The House of Swoosh will no longer sell clubs and balls, but it will continue to make golf shoes and other apparel. Adidas (ADDYY) also said earlier this year that it plans to sell its TaylorMade, Adams and Ashworth equipment brands in order to focus more on Adidas-branded golf apparel. Under Armour (UA) made big waves when it signed Spieth to a deal a few years ago. But that company is now struggling as well. The only publicly traded golf company that's actually doing well is Callaway Golf, the maker of Big Bertha drivers and other equipment. Shares of Callaway are up 8% this year and the company recently reported strong earnings. But the stock has pulled back from its highs lately. And Callaway's stock is still trading well below the peak prices it hit in the late 1990s as recessions in 2000 and 2008 took their toll. Golf is an expensive game to play. So the business is not immune to economic slowdowns. 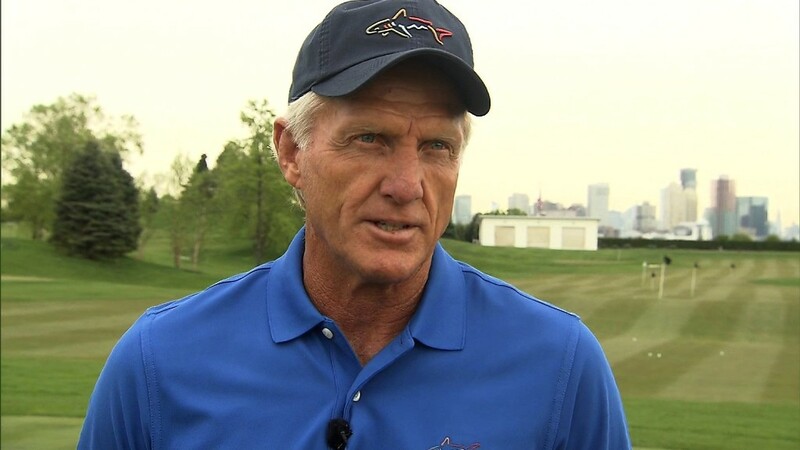 Callaway CEO Chip Brewer admitted in an interview with CNNMoney that golf is a tough business. "You need to be a specialist," Brewer said. "Golf equipment is hard, but we love it." But even specialists may not thrive at a time when people just don't seem as interested in heading to the links -- or watching the game as much as they used to on TV. Acushnet's tepid IPO performance appears to be just the latest bit of bad news for the sport. At best, the stock is a double bogey.